For sale: Airworthy Stinson L-5 propeller. This is a newly made propeller for a Stinson L-5 with a six bolt hub. 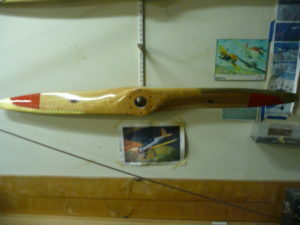 Propeller has been produced by and is located at the Wings of History Air Museum. Asking $3,200. Call the Museum (408/683-2290, Tue. Thur. 10:00-3:00) and ask for the prop shop or call Ed 408/706-3672.